This year marks the fifth annual Manufacturing DaySM when thousands of manufacturers will promote manufacturing as a whole. Thousands of manufacturers will open their doors to students, parents, teachers and other job seekers to promote the new manufacturing environment. Many still think manufacturing is filled with dirty, boring and repetitive jobs. Of course some of these jobs still exist. But joining computer design with mechanical machinery, is removing many of the old fashioned ideas about manufacturing. Meanwhile many skilled jobs stay vacant even as the unemployment rate approaches pre-Great Recession levels. This is why Manufacturing Day seeks to re-educate potential workers and students and the general public about what today’s manufacturing is all about. In truth many exciting jobs are available for those that enjoy actually making something. This is true for Microdyne Plastics too. Today most products are designed with sophisticated computer design programs that are first engineered on a computer screen then modeled in 3-D so buyers can visualize their product. Building molds for three dimensional products requires building a reverse form that gets filled with plastic to make the product. This is much like using the lost wax process of bronze sculpture, but much more precise. The computer model uses the product to build the mold (called tools in the trade). Then the dimensions (in a computer file) are used again in CNC metal milling machines to build the components of the tools. The metal lathes run in enclosed compartments and the operator programs the machine to control the process. Skilled mold tool makers then assemble custom molds to be fitted on large automated machinery where specially formulated plastic resins are used for the particular product. These machines are run by electronic (and computerized) controls that require technical skills to run and maintain. 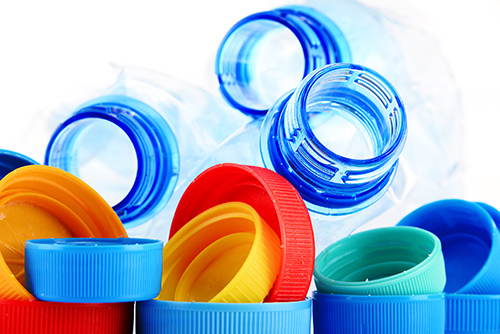 Most plastic products run with little human handling until after the product is formed, when packaging takes place. In addition to the electronic and machinery engineering component is the issue of scheduling and general efficiency of the factory machines. Trained engineers are focused on making each product in the most efficient way possible to keep prices low, and designing for manufacturing effectiveness. It’s an interesting blend of science art and technology using engineering and business skills that makes manufacturing fun and challenging. There is room for many different skill levels. Manufacturing Day is sponsored by tour industry trade groups across the nation. Last year, over 2600 events took place and over 300,000 students, parents and educators participated. The goal is to help bring back manufacturing as field to be considered by young people as a career. It seems to be working. A study by Deloit revealed and posted on the Manufacturing Day website that 81% of students found manufacturing provides careers that are interesting and rewarding. Educators are 93% more convinced that manufacturing provides rewarding and interesting careers. As a result they are more likely to encourage students to pursue arrears in manufacturing. Deliote, the big accounting firm, has a joint initiative with Manufacturing Day to study the job gaps which are created when education does not respond to businesses needs through training programs. They report that 82% of executives believe that the jobs gap will impact their ability to meet customer demand. Three quarters of them believe it will impact their ability to implement new technologies. The issue also includes a gap in attitudes toward manufacturing. The skills report says that “while Americans consider manufacturing among one of the most important domestic industries for maintaining a strong national economy, they rank it low as a career choice for themselves. Moreover, only 37 percent of respondents indicated they would encourage their children to pursue a manufacturing career[i]”. For years most manufacturers have stayed behind security fences and closed doors, but now perhaps we are realizing the need to be more public. Manufacturing Day and its influence on the manufacturing image is proving the point. Manufacturing, actually making something, is a rewarding field. Today it provides many challenging technical careers as technology is creating the advanced manufacturing economy. You can participate in the Inland Empire through October. See manufacturing events in the Inland Empire. If you would like local information about the Inland Empire Manufacturing Council, click here.